08.08.14 Why Has Robin Thicke’s Paula Flopped? Published by Killings, 12 February 2013. Original post. My Bloody Valentine by Greg Dunlap (Creative Commons). Every writer writes because they want their work to be read—and in the brave new world of digital publishing, this desire takes the specific form of wanting to ‘go viral’. Virality can seem so arbitrary, so why shouldn’t a young writer pin their hopes on a piece of theirs hitting the right cultural nerve at the right time, and dream of watching the hits and Twitter mentions roll in? If Jessica Andrews had hoped her work might one day go viral, I’m certain she did not want it to happen the way it did. It began just over a week ago, when the Irish ‘shoegaze’ band My Bloody Valentine released m b v, their first album for 22 years and the follow-up to Loveless, an album that can be called—without hyperbole—one of the most influential albums of the 90s. m b v was released to the general public with little fanfare, a tactic which seemed only to accelerate demand for the album. 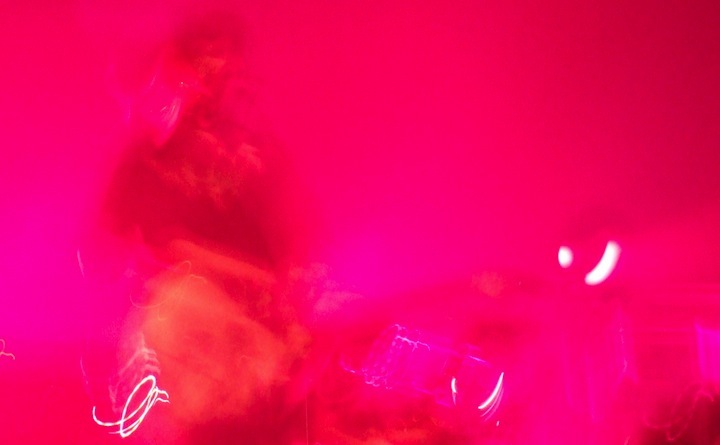 My Bloody Valentine’s website crashed; in an attempt to prevent piracy of the much-anticipated album, the band put all the tracks on YouTube to tide fans over as they waited for their webstore to work again. And, as you might anticipate, music editors all over the world commissioned critics to write reviews of the new album as swiftly as possible. With this manoeuvre, Musicfeeds brought their tally of editorial failures to three. Their first was to commission or accept a review of a much-anticipated album from a young and inexperienced writer. (Andrews herself admits that she “hadn’t heard much about this band before” and was “only a toddler” during their heyday.) Their second was to publish it in the state it was in, with no or very little editorial oversight. The final and perhaps most damning one was to betray Andrews by presenting the review as a joke when a cursory scan of Musicfeeds’ archive indicates that her take on m b v is entirely consonant with her past album reviews. As a result of such searches—which tried to illuminate the question of whether Andrews’s review of m b v was a ‘masterful troll’—her entire body of work has come under intense scrutiny on Twitter and the influential Australian music site Mess + Noise (where a number of high-profile Australian music journalists have relished laying the boot into Andrews’ past solecisms). These criticisms of Andrews’ work miss the point that her work would not be published in its current state if the cottage industry of Australian music writing were in more robust health. There are many Australian sites such as Musicfeeds—including but not limited to FasterLouder, The Dwarf, and AAABackstage—that source their content from enthusiastic and almost entirely unpaid amateur critics. These websites make their money through advertising, and use their content not as an end in itself but as a means to monetise pageviews. Young writers submit their content to these sites in exchange for ‘exposure’, and the quality suffers because most professional critics demand payment in the form of cash or cultural capital. As these websites proliferate—low in cost and low in editorial intervention—they put tremendous pressures on Australia’s few remaining street presses, many of which have either been bought out by a centralised conglomerate (Street Press Australia, which also operates theMusic.com.au) or have folded. My own training ground as a critic was for Brisbane’s now-departed Rave magazine, and I owe much of my subsequent success (such as it has been) to the intervention of its final editor, Chris Harms, who spent five years not only refining my sometimes-clumsy text, but who also entered a musical dialogue with me by carefully selecting which albums I was to review. I didn’t like everything I heard, but my tastes soon expanded far beyond their humble beginnings. Crucially, those early reviews circulated in a form where they couldn’t ‘go viral’; Rave’s website hadn’t mastered SEO, and their energies were focused on the print edition. Thus when the magazine folded, my early aberrations were consigned to the dustbin of history (unless you feel like trawling through the Wayback Machine for them). No such mercies are available for Jessica Andrews, who now lives with the notoriety of having written the “worst. review. ever.” Musicfeeds seems unscathed by the attention, and are probably quite happy with the pageviews Andrews’ piece has garnered. In the meantime, I’d urge young writers to think carefully before publishing their work in exchange for ‘exposure’—it’s worth remembering that that word also refers to what happens when parents leave an unwanted child out in the cold until it dies.